Ornament five of five. 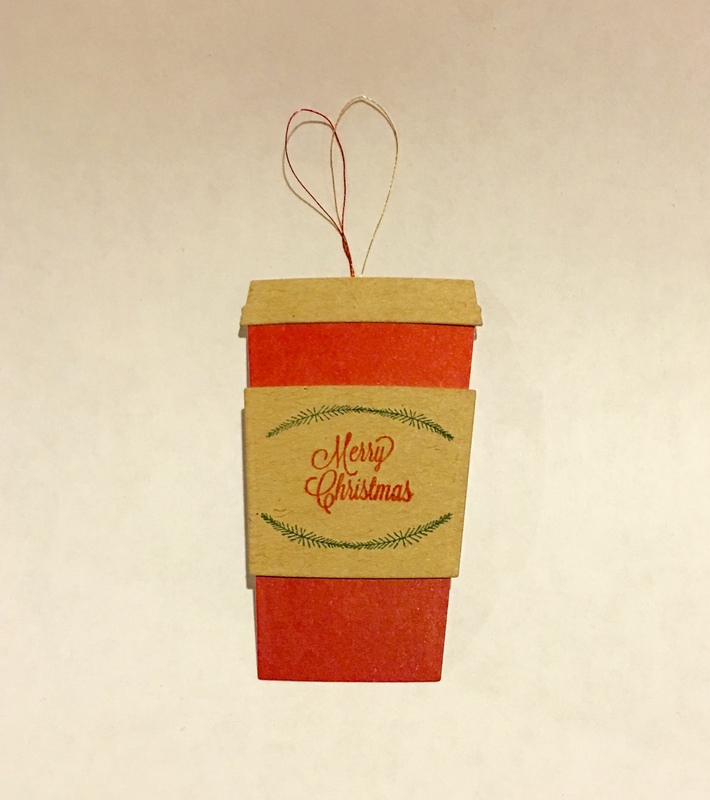 🙂 This is my most favorite coffee cup ornament that I made! You can kind of see in the picture all the glitter that is on the white cup, I also added glitter to the merry on the sentiment. I love wink of stella! Unlike glitter paper this just has a soft sheen of glitter and shimmers so pretty. I will now be out looking for just the perfect tree for these to hang on. 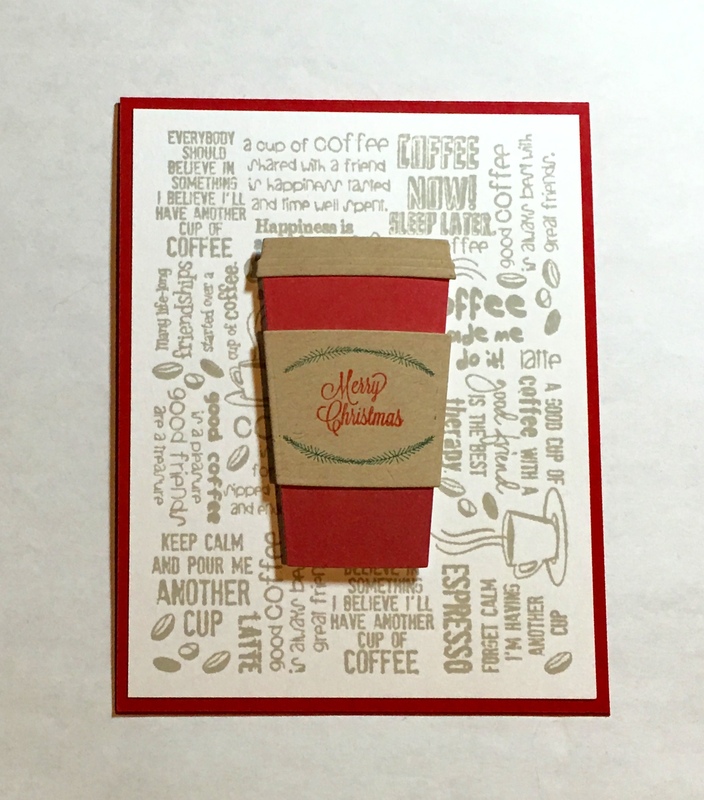 This entry was posted in Create & DIY, Link Party and tagged Blog Hop, Christmas, Coffee Lovers, MFT. Ornament four of five. 🙂 This is the cup was almost my favorite of the five I made. (Come back tomorrow to see my favorite). I inked the stamp up with stampin’ up markers and stamped on the gold glitter paper and it turned out really well. 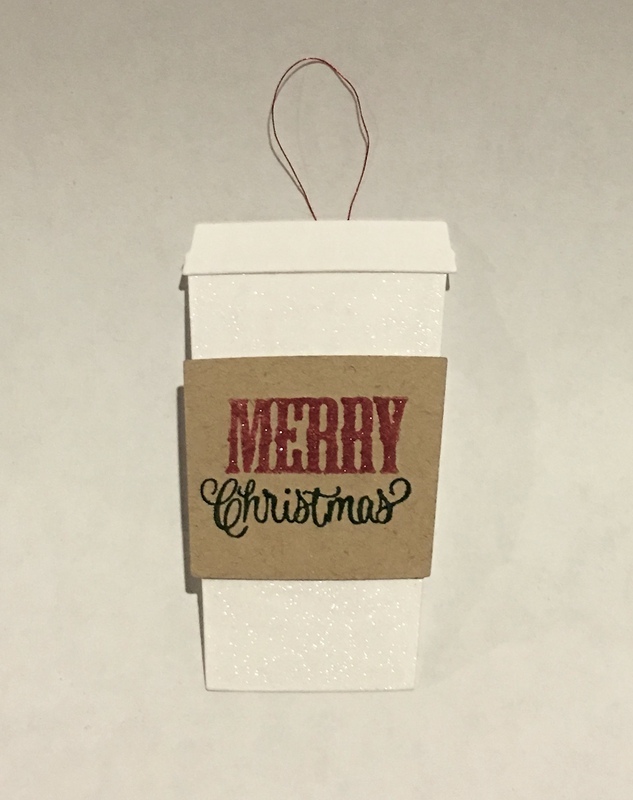 This entry was posted in Create & DIY, Link Party and tagged Blog Hop, Christmas, Coffee Lovers, MFT, PTI. Ornament three of five. 🙂 This is the cup from the card I made the other day! 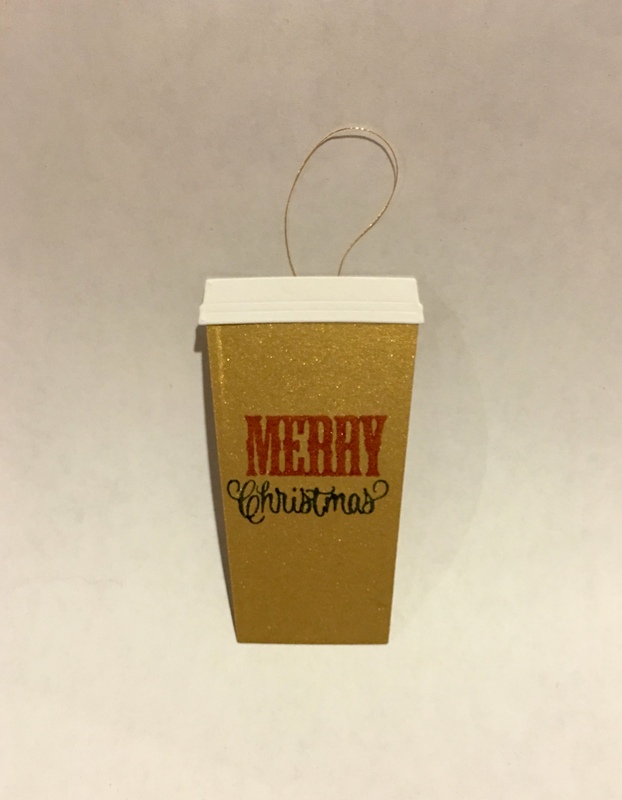 I decided that it would be really cool if you could take if off the card and put it on the tree! I used double sided tape to adhere it to the card after I made the tape a little less tacky. What do you think?